Gordon’s is the world’s number one best-selling gin but how did a Londoner with Scottish roots and impeccably high standards kick off a global gin revolution amidst London’s ‘Gin Craze’ over 250 years ago? We look at the story of Alexander Gordon, his commitment to innovation and mission to create the world’s ‘ginniest gin’. With London overrun with cheap, industrial gins following the ‘gin craze’ of the 18th Century, one man felt compelled to go against the grain and make quality gin. Alexander Gordon, A Londoner of Scottish descent, set about establishing a distillery in 1769 in London’s Southwark – a district famous for its quality water supply. Amidst the madness and demand for cheap gin, Alexander’s reputation as a pioneer was soon established as he insisted only the finest botanicals would be used in his Old Tom still. Quality gin buoyed in a sea of mayhem and mediocrity; Gordon had begun a global gin revolution. Indeed, London loved Gordon’s gin – high in juniper content and trusted for its consistency – but soon, so would the world. 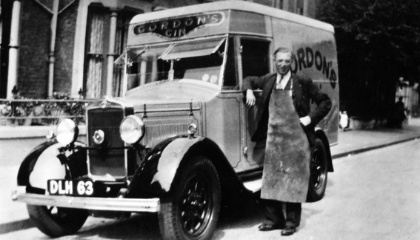 With 4 Royal Warrants awarded for its quality, Gordon’s became the unofficial drink of the British Navy who acted as global ambassadors and distributors introducing the world to the G&T. Alexander’s principles and commitment to quality and innovation were instilled deeply in the company, which continued to craft London’s favourite gin using only the finest ingredients. Along with his recipe for perfect gin (known to only 11 people today and kept a closely guarded secret), this philosophy to gin distillation has survived for over 250 years. In fact, the ‘Old Tom’ still, built during the reign of King George III, continues to be used at the distillery – which has since moved north to Scotland. Production today continues to follow the groundwork laid by Alexander Gordon, accepting only the finest botanicals to make the world’s ‘ginniest gin’. The strong juniper profile is created by Gordon’s nosing over 3000 botanicals per year, rejecting 9 out of 10 in the quest for quality and consistency. Furthermore, Gordon’s pursuit of innovation was notable as the distillery pushed the gin category in directions it had yet to explore. 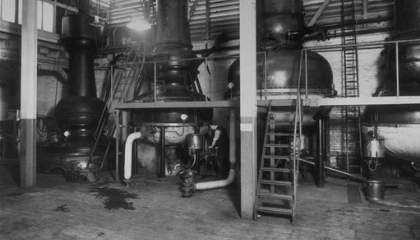 Sloe Gin (1906) and Ready To Drink’s – RTDs (1920s) were pioneering moments for the gin category, as well as innovating in wider culture with the introduction of the first cocktail shaker bottle in 1924. This commitment to innovation and quality over 250 years has also introduced many new drinkers to the gin category through pioneering flavoured gins. Gordon’s Premium Pink distilled gin is based on the original recipe from the 1800s, with delicate, fruity flavours and subtler juniper influence. More recently, the distillery introduced Gordon’s with a spot of Elderflower: a great twist on a British classic and a response to the changing palates of today’s gin drinkers. With the famously strong juniper profile and moniker of ‘the world’s ginniest gin’, Gordon’s makes the perfect G&T. Of course, if you prefer something shaken and not stirred, you could always treat Moneypenny to a classic martini with Gordon’s, too. In 1769, amidst a sea of poor gin, Londoner Alexander Gordon establishes a distillery. Using his Old Tom still, Gordon insists on using only the finest botanicals. Gordon’s gains a reputation for its consistency and high juniper content. 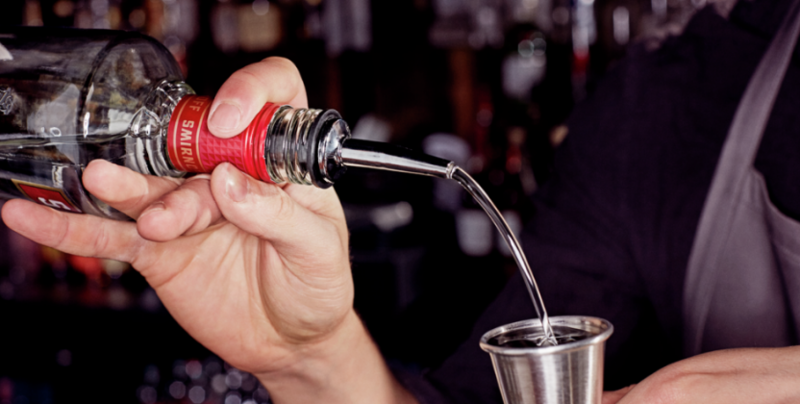 The gin is awarded 4 Royal Warrants by the British monarchy and becomes the unofficial drink of the British Navy. The closely guarded recipe is over 250 years old and known to only 11 people in the world today. To maintain quality and consistency, Gordon’s noses over 3000 botanicals per year, rejecting 9 out of 10 for not meeting the standards. Download the latest Gordon’s special recipe cards for quick reference to great drinks at your venue – recipes for the Gordon’s Martini, Gordon’s Pink Fizz & Gordon’s Bramble. 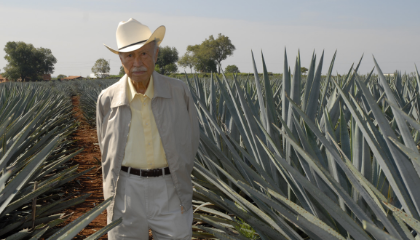 Master Distiller Don Julio González was the original pioneer of the tequila industry, revolutionising production and setting the standard for decades to come. As the most-awarded vodka in the world, Smirnoff has been synonymous with leading the line in quality and innovation for decades. 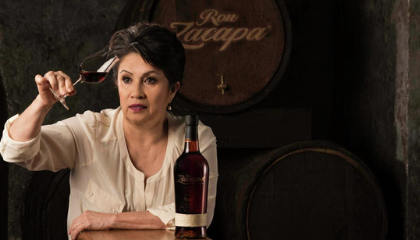 We explore how Master Blender of 30 years, Lorena Vásquez, uses the spectacular Guatemalan environment to instil their Art of Slow philosophy into aging their rum. 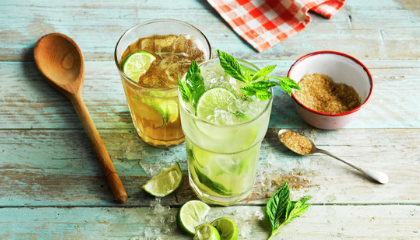 A drink that has navigated the peaks and troughs of fads and trends for decades, championing flavour and fresh ingredients and introducing countless drinkers to the world of cocktails; the Mojito has earned its legendary status.